Dr Ir Khin Ni Ni Thein, Vice President of Development and Resources at the Asian Institute of Technology, recently presented seminars in Adelaide and Melbourne as part of ICEWaRM’s Visits and Exchanges programme. Dr Thein’s addresses focused on democratisation in Burma through peace and reconciliation and how water can involve people in the politics of their country. Dr NiNi’s message was to stand above politics and try to resist the temptation of not to politicise and not being politicised. The seminar ended with a lively question and discussion session and was followed by drinks and nibbles. The event provided an excellent forum for the audience to interact with Dr NiNi and each other. Overall the evening was well received and feedback was very positive. On her final day in Adelaide, Dr NiNi undertook a field trip to Goolwa and the Murray Mouth. Before joining the Asian Institute of Technology, Dr Thien was Chief of the Sustainable Water Management Section of UNESCO’s Division of Water Sciences in Paris. 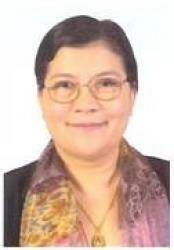 Her professional background is Hydraulic Engineering with 26 years experience in the water sector. Currently Dr Thein is a board member of the Post Tsunami Community Learning Centre in Ranong, Thailand and is an external advisory group member of the Mekong Programme on Water, Environment and Resilience. Please click here to download presentation at University of Adelaide. Please click here to download presentation at Deakin University.